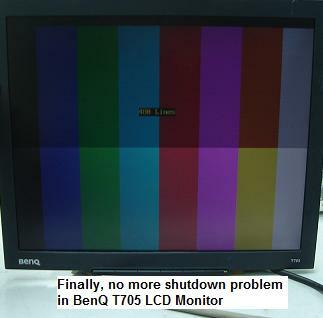 This BenQ T705 LCD Monitor has a common fault of display shutdown after few you “On” for few seconds. 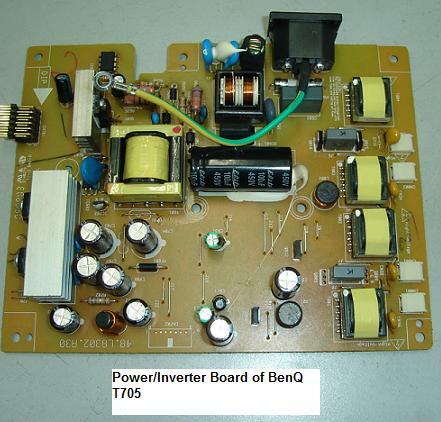 The cause of the problem was usually a shorted one or two of the C5707 push pull transistors. 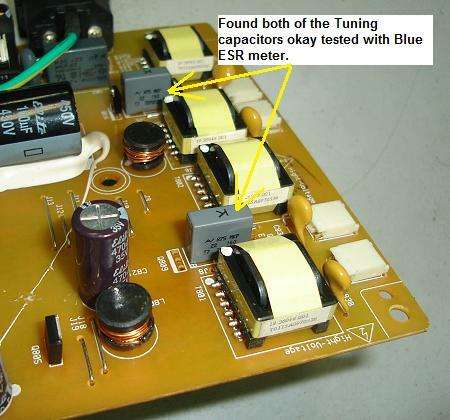 Besides the shorted transistor, one also has to check the tuning capacitor for high ESR value with the help of ESR meter. 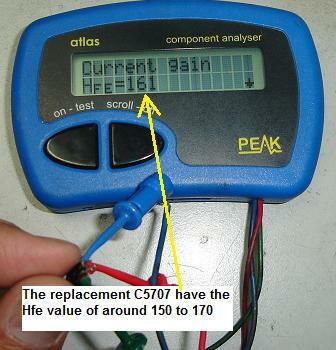 If you do not own one, you can use the digital capacitance meter to check the capacitance value. However, from my experience, checking only the capacitance value doesn’t guarantee that the capacitor is good unless you confirm it with ESR meter. The reason why I emphasis on checking this tuning capacitors was because the capacitors have a high failure rate that could cause the C5707 transistor to go shorted. You also have to observe the high voltage transformer pins carefully. 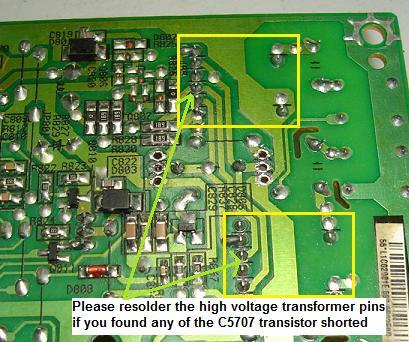 I had come across quite a number of shorted C5707 transistors caused by dry joints in pins of the high voltage transformer. In this case, as usual after I have confirmed that only two C5707 transistors shorted, I began to test the tuning capacitors and check the pins of the high voltage transformer. Both the tuning capacitors found to be okay but there were dry joints in the transformer pins. Fresh solder was applied to the high voltage transformer pins and I’m ready to “On” the LCD Monitor. Guess what? The Monitor has the same symptom again which is display shutdown after few seconds! I don’t believe it as most of the time it will surely work as this is a common fault! I started to recheck the surrounding components that have connection to the C5707 transistors but found no faults in it. Analyzing the board many times didn’t reveal any improper soldering job. There must be something that has gone wrong that had caused the LCD Monitor to shutdown. Deep in my heart I don’t suspect backlights problem because the C5707 transistors shorted was caused by dry joints in the high voltage transformer. 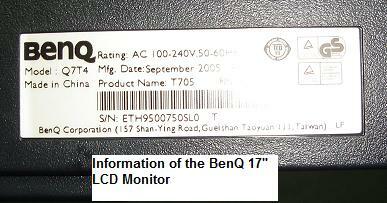 Beside, the backlights were quite reliable for this BenQ LCD Monitor model. Testing the C5707 transistor with an analogue meter set to X 1 and to X 10 K Ohm doesn’t seem like it has problem. Comparing the result with an original C5707 transistor did have some difference in the X 10 K Ohm range but the reading is acceptable from my years of experience in testing transistor. The only thing that I haven’t compared is the Hfe reading (forward current gain). 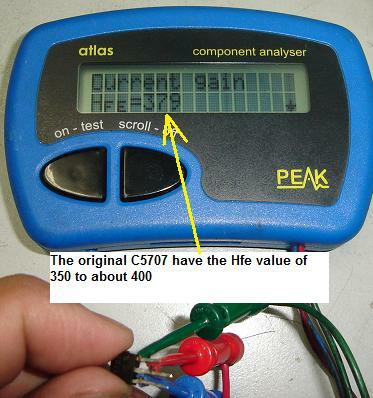 I used the famous Peak Atlas components analyzer to analyze both transistors and I could clearly see the big difference between the Hfe readings of the two transistors. The original C5707 transistor has Hfe value of 379 while the new badge of the C5707 transistor has Hfe value of 161! At last I found the answer! I did tried replace the 4 C5707 transistors at one go with the new batch of transistors but the result was the same. Installing the transistors that have the Hfe reading of 350 to 400 solved the display shutdown problem. This circuit look like it can only work with the same type of transistor that has the quite exact Hfe value! 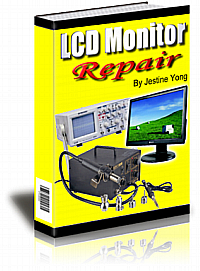 That’s why for this type of Monitor circuit, many technicians hardly can find a suitable replacement. In other words, even if you could get the substitution transistor that have higher Volt, Amp and Watt but different Hfe value, you still won’t be able to bring the LCD Monitor back to life again. From the above test, this Monitor circuit has voice out loud and clear that it only need the same part number with the same Hfe value unless you have some similar transistor replacement specification that is identical to the original one. 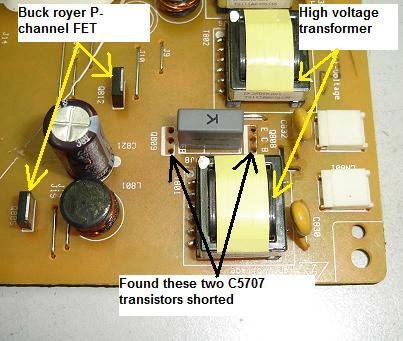 I will go back to my electronic supplier to tell them about his problem and hope to get back the same type of C5707 transistor. 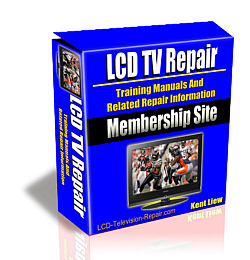 For my readers that are in this electronic repairing line, although some of you may not be in the LCD Monitor repair, I hope you will absorb this information and apply it in your field. Who knows one day you would have face the same problem that I’m facing and this article could easily help you to solve your problem fast. Have a good and a blessed day!